Reimagine A confident and "at-home" website experience that is personal, modern, and feature-rich. 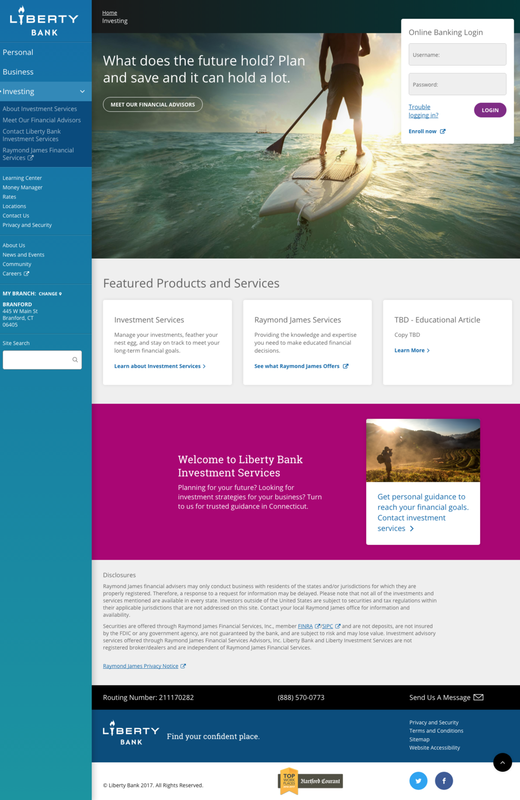 Redesign a new responsive website for Liberty Bank (liberty-bank.com) to feature a unique user experience concept that is reflective of the client’s desire for the site to stand out from typical bank websites and have appeal to a younger audience while still being accessible and meaningful to older prospects and existing customers. The redesigned site is launching in conjunction with the roll out of new and improved online and mobile banking services How we will achieve this is outlined below. The new website will be designed to be ADA accessible (WCAG Level A and AA). This concept delivers on the promise of confidence by putting emphasis on security, tools, and information that customers have access to when they bank with Liberty. The message of financial control feels empowering to both emotional goals as well as tactical ones. This direction will borrow UI elements of familiar, everyday digital tools and experiences to express the Liberty Bank brand. We want people to feel that they are in control by having access to the things that matter to them the most—with ease and efficiency. As a co-creation exercise, I asked the clients to envision a movie character that best exemplifies their brand's personality. Ed Harris from Apollo 13 seemed to resonate for qualities of being cool under pressure and taking control of a difficult situation. What if there was a bank that was made just for you? It was perfectly tailored to your needs and wants. It’s smart enough to know what you’re looking for and flexible enough to adjust to what you want it to do. This direction is all about a "people-first" mentality. It focuses on an individual's banking needs and aims to prioritize their tasks first. 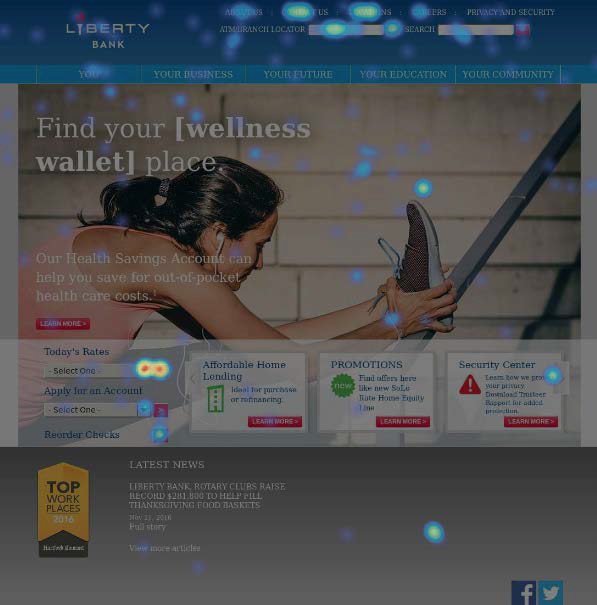 Liberty Bank understands the importance of that and adapts to each user accordingly by being a good listener. Emma Stone's character from The Help also became a good representation of the Liberty brand. She was smart, empathetic, patient and above all—she just wanted to be helpful. She demonstrated being trustworthy by adjusting to other people's needs. 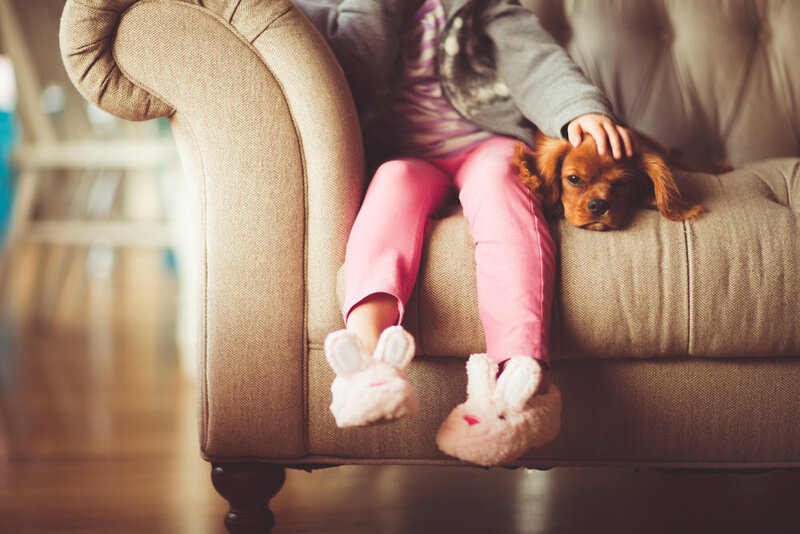 The challenge visually was to stand apart from other banks by using vibrant, emotional and uplifting imagery that didn't simply focus on finances, but the wonderful things in life that it helps fuel. Liberty Bank's color palette had some limitations that we overcame by combining their existing colors to create new vibrant gradients without making an already large number of brand colors any larger. The full team and the Liberty Bank clients collaborated on a 4-day work session to to further define the scope of the website redesign. On the 4th day, the teams shared their findings on the project context , roadmap and ended with a list of action steps to keep the project moving forward successfully. We designed an approach where we didn't have to rely to heavily on rigid page templates, but rather a more flexible, scalable website system that was informed by three parts. First are the elements, which in this scenario are thought of as ingredients. 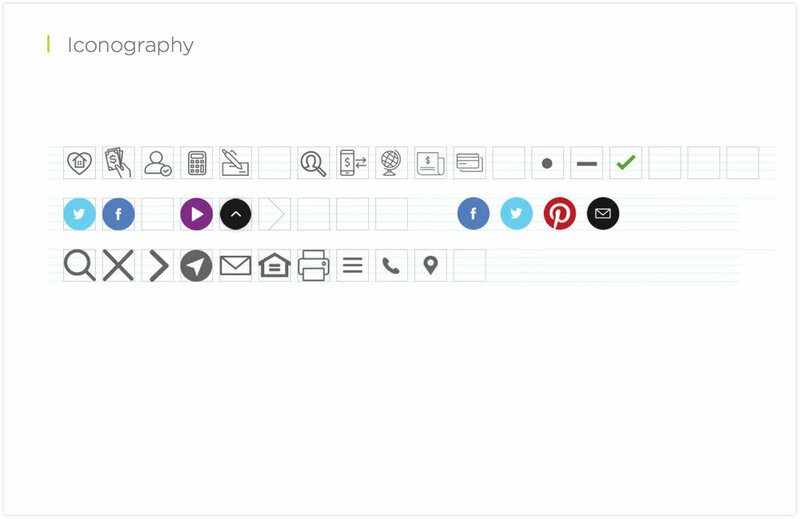 These are your button styles, image, color, typography, etc… Next is the unique assembly of each element into a component. In our scenario we think of them as ingredients coming together to make something like a cheese burger. 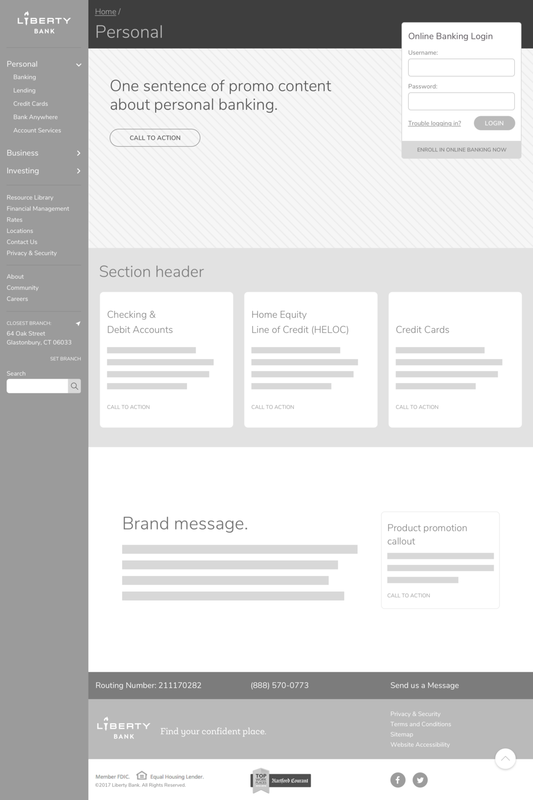 Once multiple components are assemble on a page, this becomes a page template or a "meal". 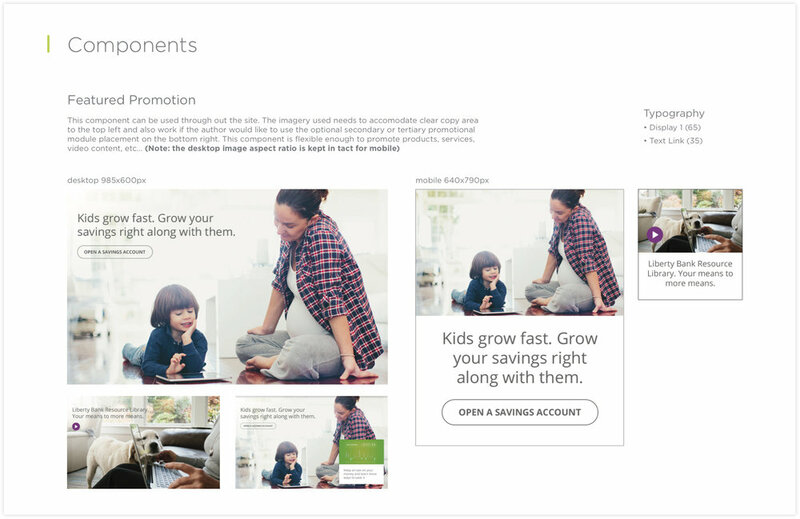 This approach allowed the clients to understand how the system gives them a greater range of content types to make unique experiences. Users had low interaction with the callout slider. Users would scroll to see more but for the actionable buttons for each callout, there was little to no interaction. The purpose of the Build Reference Guide is primarily to capture the purpose and behavior of each component that the entire digital experience is created from. This serves as a hand-off document between creative and the development team, but it also serves as a guide for QA and ultimately a reference guide for people who will have governance over developing future site content. All the components are based on the CMS platform and have specifications according to the CMS properties. The nomenclature matches the copy deck formatting so that everyone will use the same vocabulary in reference. The request from Liberty Bank: create a series of online educational videos about personal finance. Pretty straightforward. The big insight: people are generally curious about money and want to learn better habits. But they're skeptical of banks that are overly salesy and promotional. Rather, they crave honest, genuine advice. The concept: get real people talking honestly about money. Instead of hearing from bankers, you'll hear it straight from your neighbors, colleagues and friends. People who are renting, or just bought a home, owed student loans, or were struggling with credit card bills. You know these people—they're just like you. We scouted in downtown Hartford and West Hartford Center, ultimately choosing to shoot outside of State House Square and on the corner of Farmington and Lasalle. Over the span of two days, we interviewed over 30 people. They were surprisingly candid about their saving and spending habits, offering up very personal and honest answers. We quickly discovered that most people were pretty smart about their money. And just about everyone offered up insightful tips to budget, plan and save.